From the start of 2018 our Quilting Group transformed into the Green and Quirky Upcycling Project. This team meets fortnightly to save tired, old castoffs from end of life in landfill, transforming them into useable, pleasing objects once more, then selling them via social media. Any profits go to church funds. 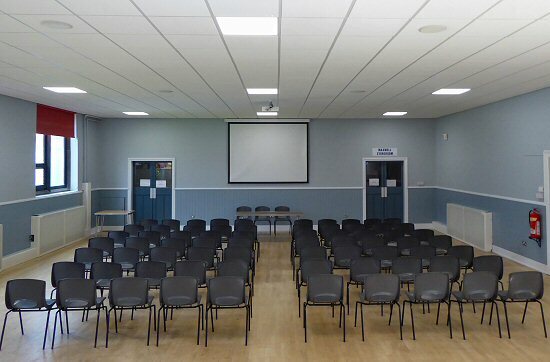 The Church of Scotland Guild decided to stop meeting at their April Annual General Meeting. Founded in 1929 in the old St. John's Church the orginisation had met continuously for 89 years! 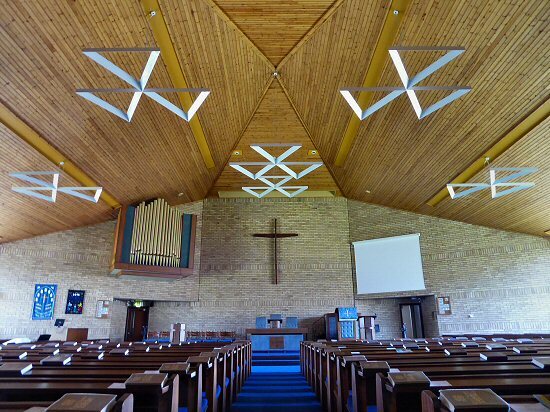 At the end of April the new Church lighting system was unveiled and features individually controlled LED lights in banks suspended from the ceiling. As an added feature the large cross is now lit from behind in a striking effect. The brightness of the lights can now be adjusted during the service to ensure the optimal light level. We can ring two bells each--------mostly! We can meet the challenges of chords-------definitely! We can face the music----most certainly! We often start with a Carillon of Bells and finish with the Doxology! 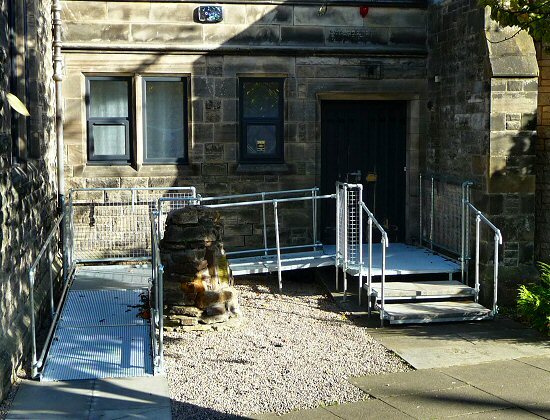 An improvement to the side door ramp has been installed reducing the angle to make an easier ascent. On the 4th November the moderator, Susan Brown, minister of Dornoch Cathedral, led worship in Kirkcaldy Linktown church where all the congregations from central Kirkcaldy were present. This special event occurs every 10 years as each presbytery is visited in turn. 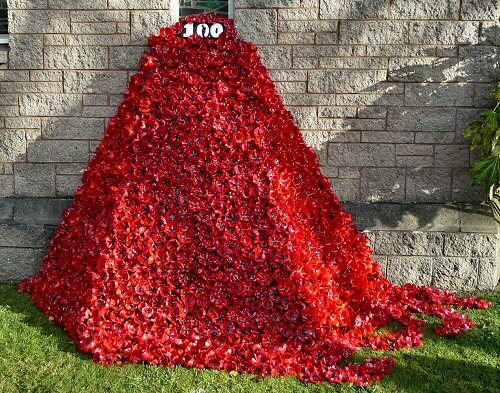 To mark the 100th Anniversary of the end of the First World War a special Poppy Art Installation was created from empty plastic bottles and is shown here pouring out of the side windows. On Remembrance Sunday the time of silence was held outside the Church with the congregation in the garden around the poppy installation. A piper sounded as the service continued in the Church. 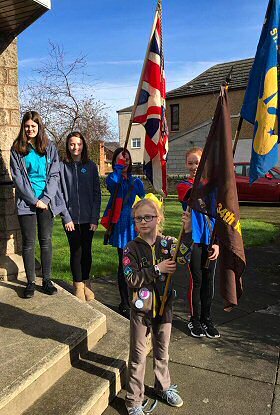 The special service included memories from members about relatives who took part in the war and poems written and read by children from Kirkcaldy North School. 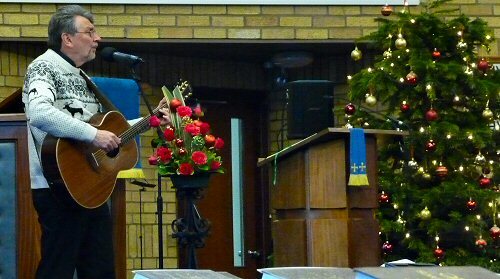 The history of some of the men listed in our War Memorials was also researched and presented whilst Bruce Davies sang one of his favourite songs. Our annual Christmas shoebox appeal filled 92 boxes from the Church and 58 boxes from Dunnikier School. Two excellent results! The boxes were sent on their way to Romania as things that we take for granted but will seem like luxuries to people living in poverty. The boxes will bring a smile to adults and children and hopefully they will enjoy opening them as much as we enjoyed filling them. Sunday 27th January saw the dedication of the new sanctuary lights and we welcomed to Bennochy Church the contractors involved in the project as our guests. In February we held a new service named Thinking Day where our youth organisations took part. A picture of the flag bearers is shown below. 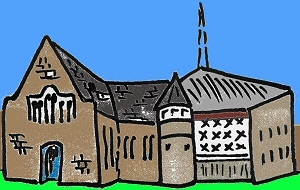 The Church regularly publishes newsletters which you can browse via the Newsletters page. Please visit our Photo Gallery which contains historical pictures as well as a selection of more recent images from the many activities at the Church.